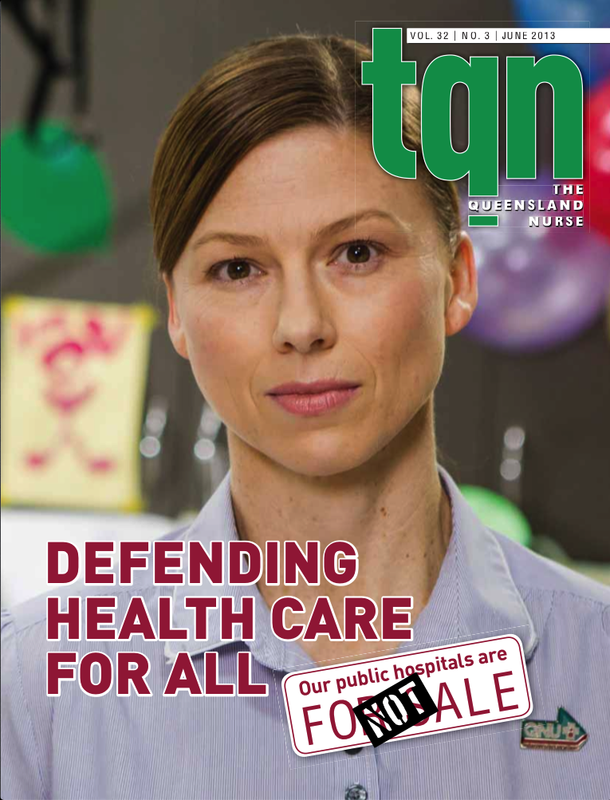 QNU Secretary Beth Mohle wrote an inspiring article (TQN April, p3) urging nurses and midwives to be unafraid, to speak up, and to remember that our community supports us even when our government doesn’t. This was in stark juxtaposition to the case study and reflective exercise on using social media (p36-38), which completely overlooked the benefits of nurses and midwives speaking up, being unafraid, and interacting with others in the community. The April TQN case study cited an instance of racist, sexist and other derogatory comments getting an employee into trouble. This is not a social media problem; this is a racist, sexist, derogatory comment problem. Let’s make the assumption that most nurses and midwives are wise enough to behave as ethically online as they do elsewhere. There is a worldwide community of health professionals using social media in constructive, creative, collegial ways. Queensland midwives and nurses should not be discouraged from joining this community. The risks of using social media are often overstated, the benefits are frequently underestimated. Participate, be generous, be sensible, enjoy. The title given to the letter, “Behave online as you would in real life” bugs me a bit. Being online is part of everyday real life; it is not, as the title implies, completely separate from real life. As always, your comments and feedback are welcome. 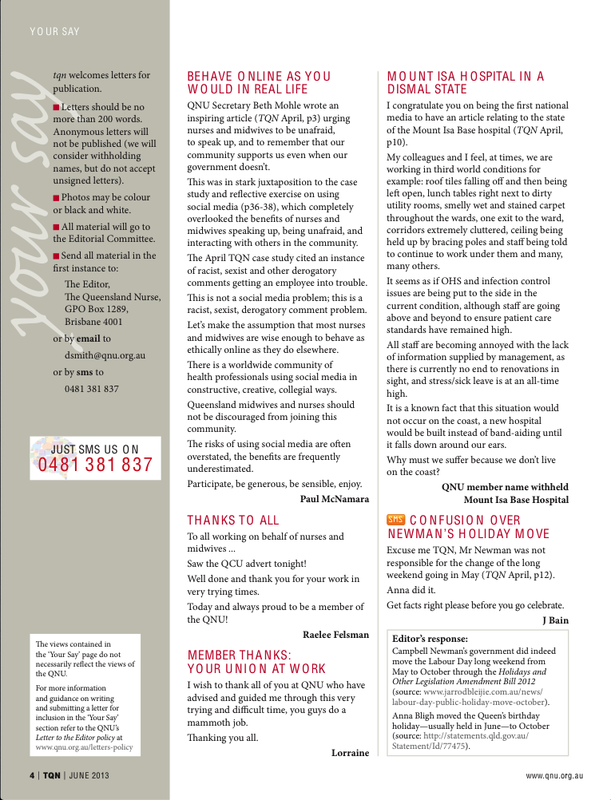 This entry was posted in Blog and tagged #HCSMANZ, #SoMe (Social Media), nursing on 21 June 2013 by Paul McNamara. I couldn’t agree more with this, Paul. It’s a widespread failure of people to understand that although the internet is new (although it isn’t) it isn’t actually any different to any other tool people use to do things. We wouldn’t tolerate the government photocopying our mail, but data retention is OK. “Cyber-fraud” is going to destroy the world but regular fraud is no big deal. Until there is a shift in attitude that makes the internet just part of life, people are going to continue with these ridiculous false dichotomies.